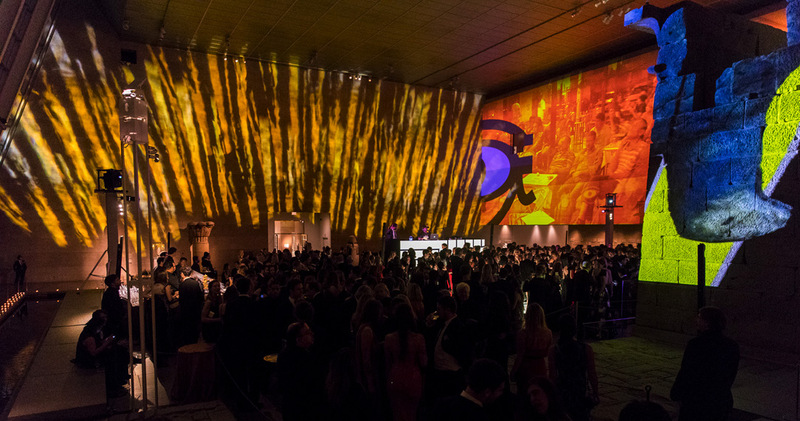 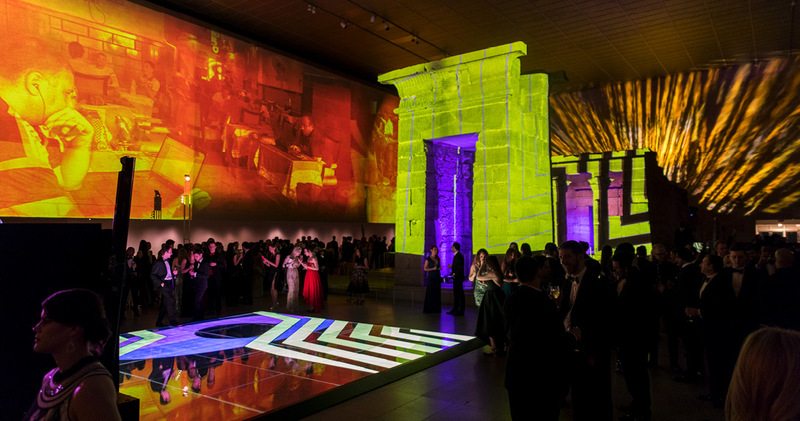 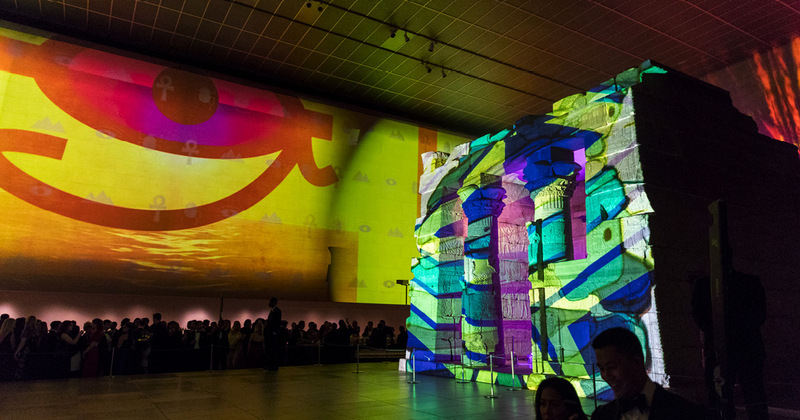 For the annual Apollo Circle Benefit, a young patron’s event supporting The Met Apollo Circle Fund for Art Conservation, we worked with the team at The Metropolitan Museum of Art to turn the famed Temple of Dendur into a living set piece conceived by the artist Katherine Bernhardt. 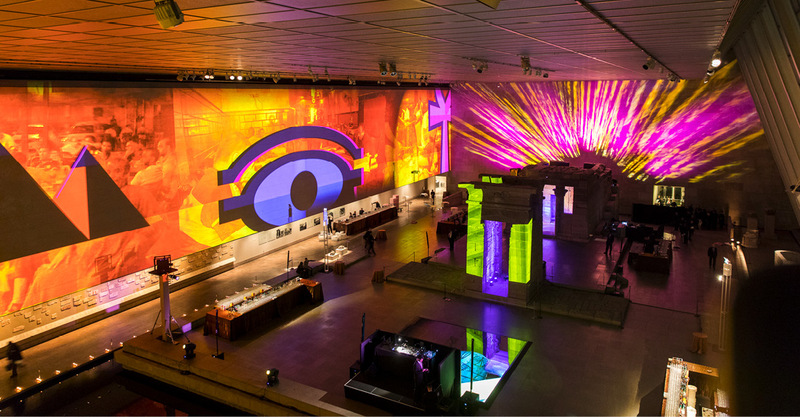 We digitally mapped the 80-foot south wall of the gallery to create a custom projection, which featured a video representing Bernhardt’s interpretation of Egyptian emojis, hieroglyphics and present-day footage of Egypt. 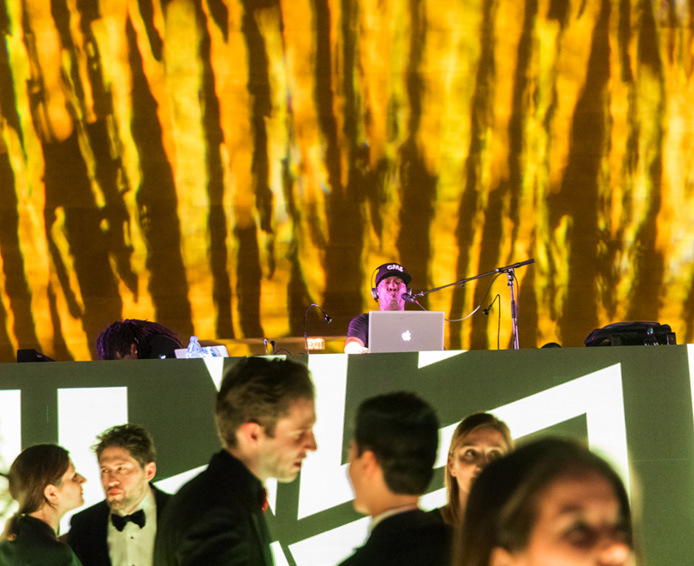 The video content transitioned through three phases—morning, dusk, and evening—to create a sensory experience, a stunning backdrop to the evening of cocktails, canapés and dancing. 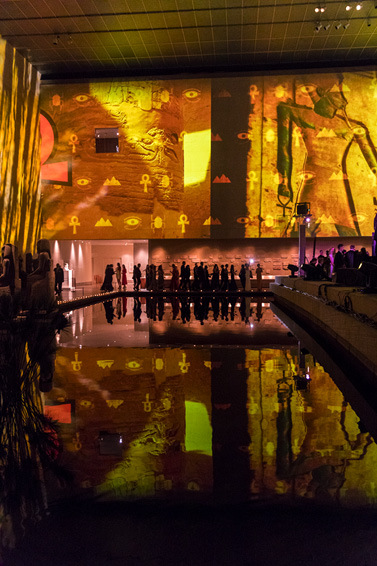 In addition, the façade of the temple was digitally mapped and masked to display a contemporary adaptation of the hieroglyphic symbol for water, cleverly reinterpreted in a modern chevron design. 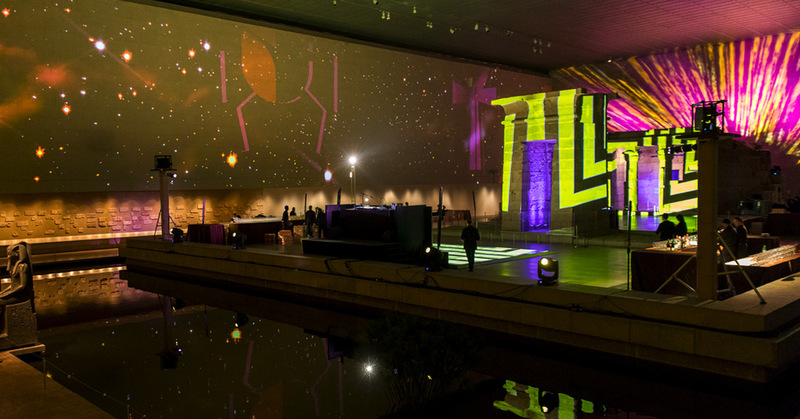 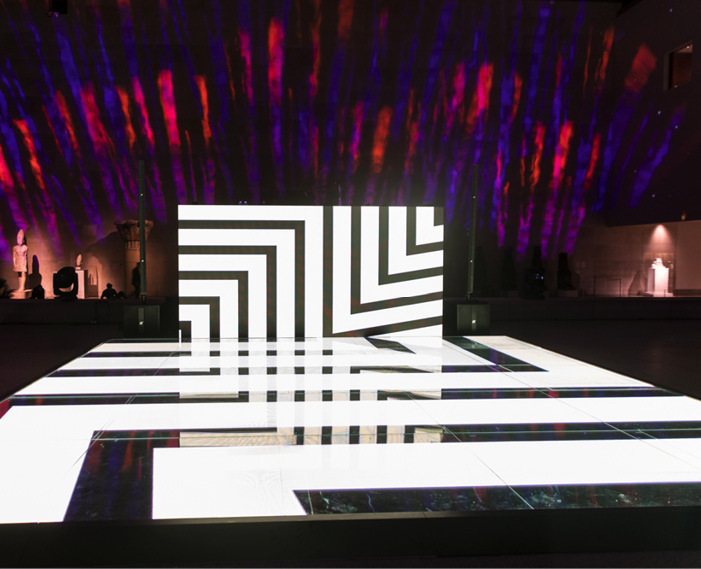 The dance floor and DJ booth, both constructed of digital LED tiles, mirrored this design, for a subtle reference to dancing on water. 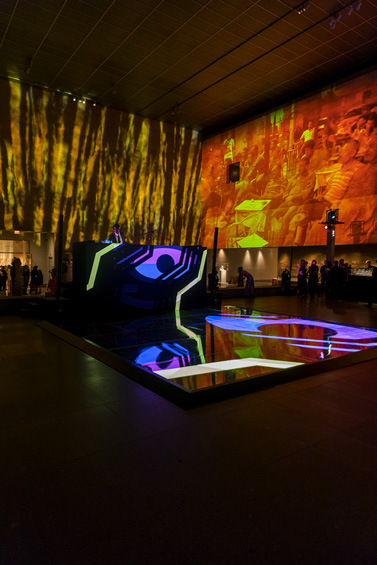 As the night gained momentum, other graphic layers were integrated into this design, syncing to beats by DJ Grandmaster Flash.